Vaccination Process in Photos and Video. 1. 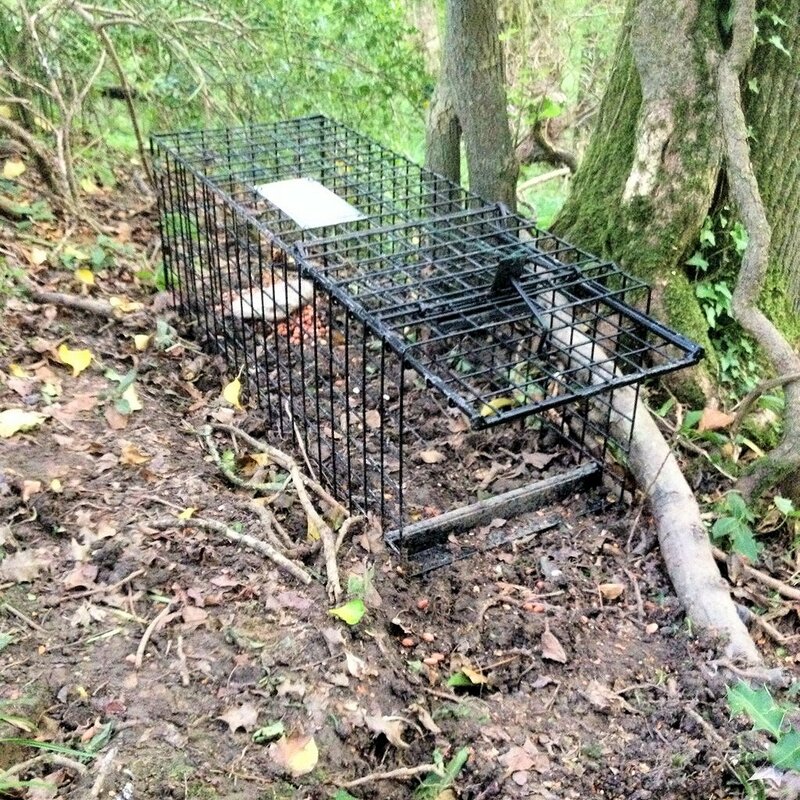 Following a sett survey we assess suitable places for peanuts, then if these peanuts get taken we consider it a good place for a trap. This is the hard, physical bit. 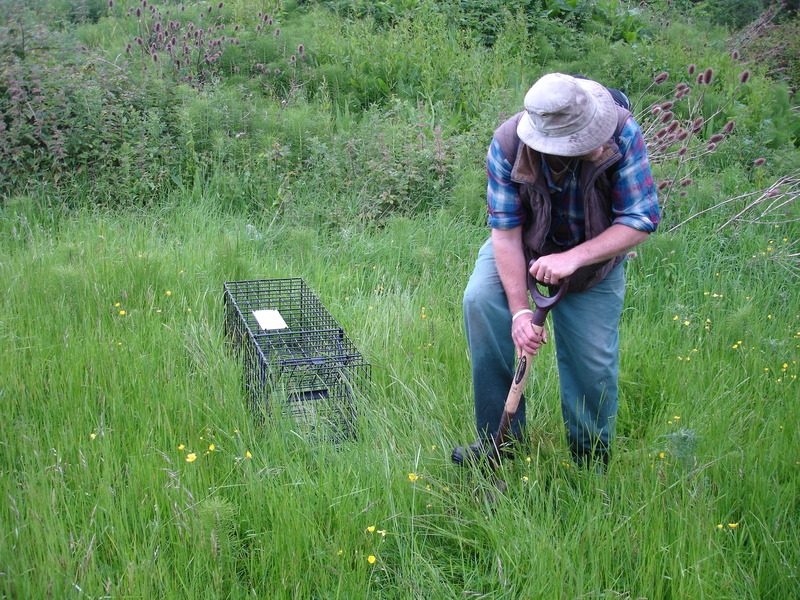 Digging in the traps to be level and secure. 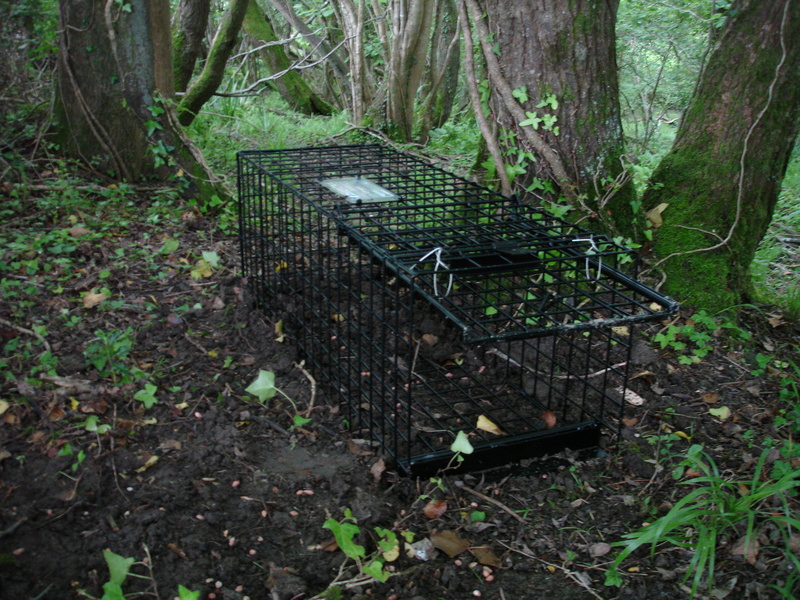 The trap is wired open, and peanuts are left under a stone (badgers can move it but other species can’t) nearby, and ever-closer for a few days. 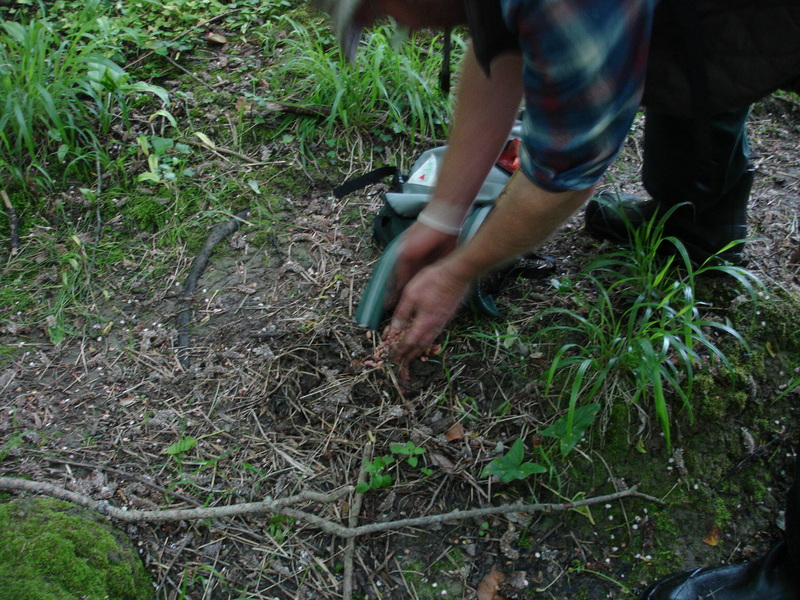 On the big night we ‘set’ the trap, ie we remove the wire, put the peanuts under the stone right at the back, and then tie the trap mechanism to the stone. 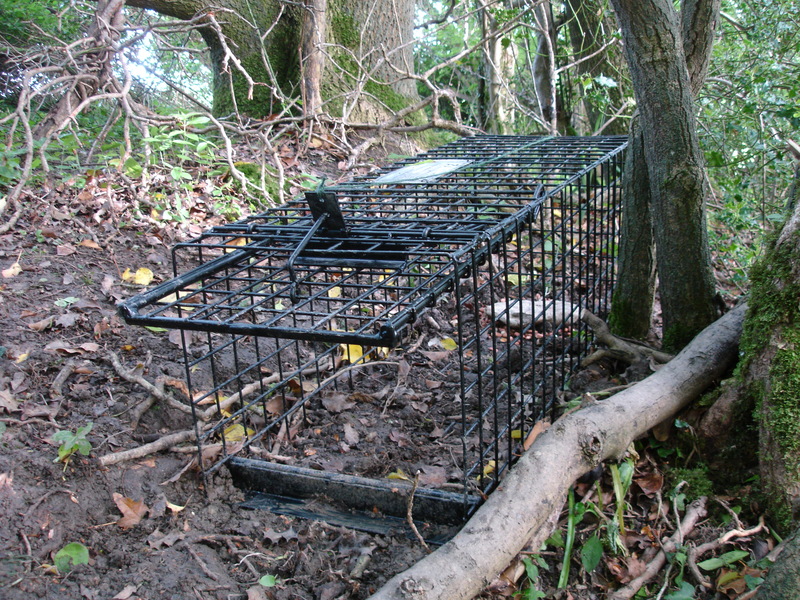 When the badger moves the stone this time the trap goes off and the door shuts. 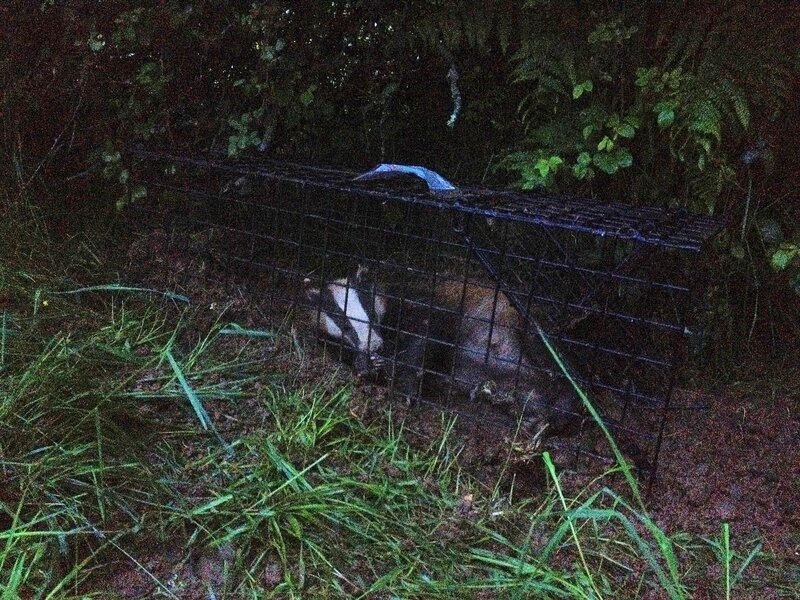 Then we’ve caught our badger. Vaccination is quick, and as stress-free as possible. 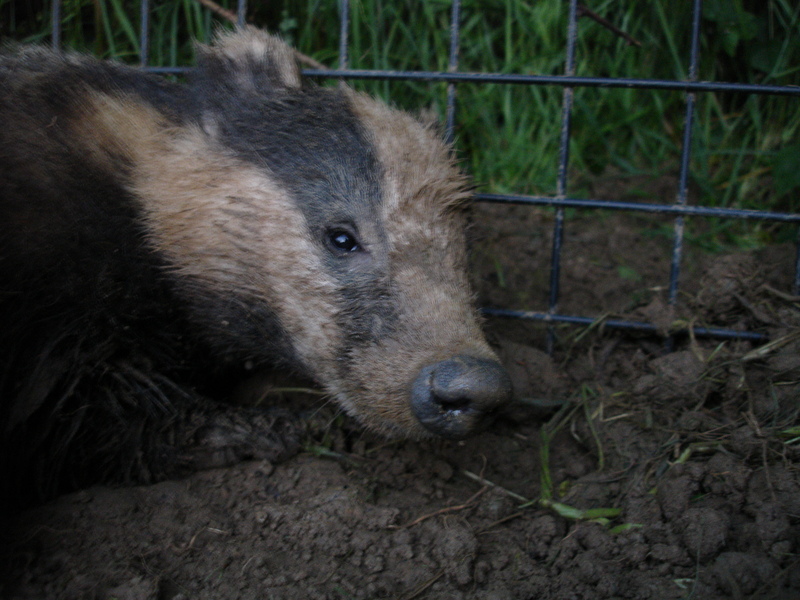 This one looks tired and muddied, but is just about to be released. 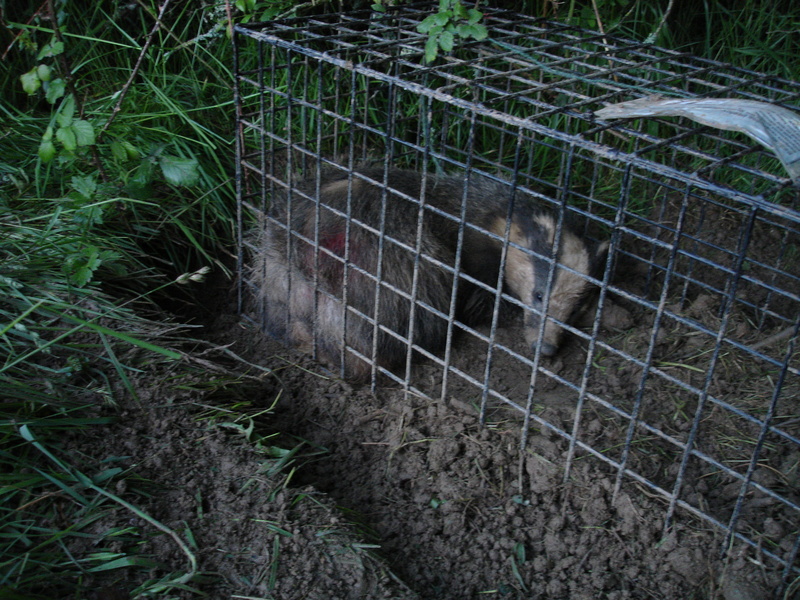 They are sprayed with stock-marker, to avoid being revaccinated if they are caught again the next night. You can see the red marker spray on this one just before we released it. 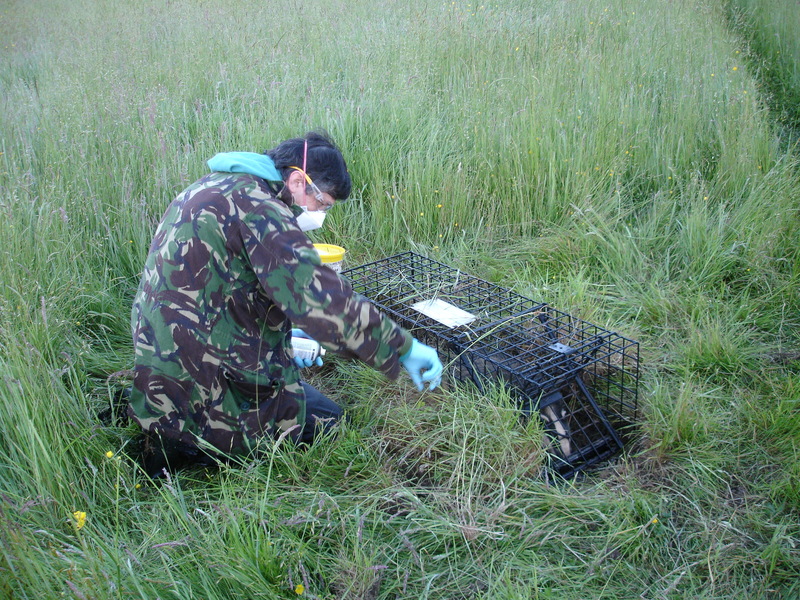 Then, of course, the inevitable paperwork, disinfecting of boots , and removal and cleaning of all of the traps.